LOVE the collar and sunglasses! That collar is amazing, love it!!! Love that collar... so cute! I really, desperately want those boots! 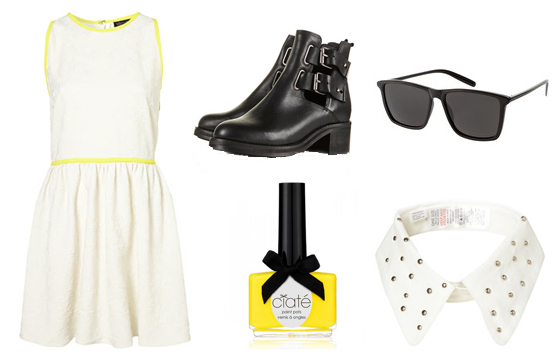 I put that collar on my Wishlist post this week, it's so cute! Love this wishlist! Amazing collar and boots! Love the nail polish, such a cute colour. Super cute picks! Love the dress! I love the collar and boots!! That collar is absolutely beautiful x!